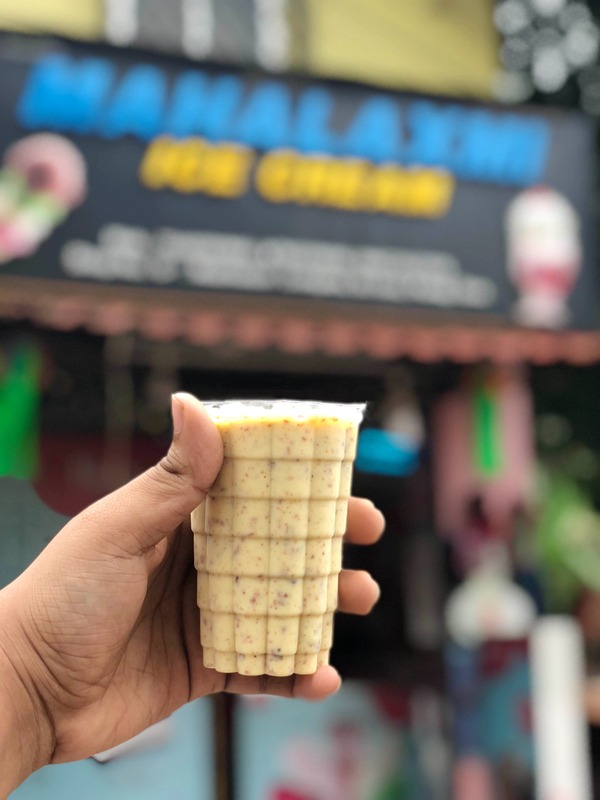 Mahalaxmi Icecream is my go-to place for badam shake. I have been going to this place for almost two years now. Whether it is post-dinner, hangovers, a hot summer day, or an after a college event, the shake fixes everything for me. This cold, creamy, rich glass of badam shake is sure to comfort you. This place is quite famous but not everybody knows about it yet. It is one of the thickest badam shakes I've ever had, every sip is filled with almonds and cashews. You may even need a spoon to help you finish. Also. if you're going through a cash crunch, order half badam shake which costs INR 40. The quantity of it is actually 70% of the normal quantity. You can enjoy the shake in less than INR 100. The shop serves great shakes and ice creams. You can go to this place with your friends, family or a big group too.